Montevideo 2009. The world’s best graduation projects  architecture  urban design  landscape architecture. Tokyo Littoral Art Center designed by Kazuaki Hattori – University of Tokyo, department of Architecture, faculty of Engineering, Japan. 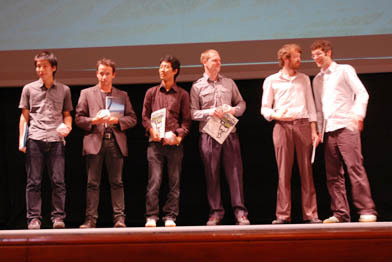 The international jury reviewed all submitted projects and selected 24 nominations and 8 winners. Jury: Salvador Schelotto (Dean farq, UdelaR, Uruguay), Mario Schjetnan (Mexico), Anne Lacaton (France), Juan Herreros (Spain), Sou Fujimoto (Japan).